Friends, all is not right at From Bolt to Beauty world headquarters. 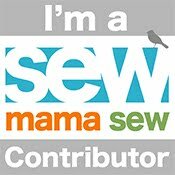 My sewjo exited stage left, and with it went my enthusiasm for blogging. The root of my problem, I think, is some self-imposed deadlines and a dearth of finishes. Deadlines make this hobby feel more like a job, and although I have four quilt tops at three different long-armers, I won’t be getting anything back for a few more weeks. I need a successful finish to start feeling like myself again. So what do I do? Play with fabric, of course—it gives my creativity a boost without pressuring me to accomplish anything. Right now, I’m working on assembling a fabric pull for a Scrappy Picnic Plaid quilt. This pattern, by Lee Heinrich (Freshly Pieced), was featured in the first Quilter’s Planner, which I have. 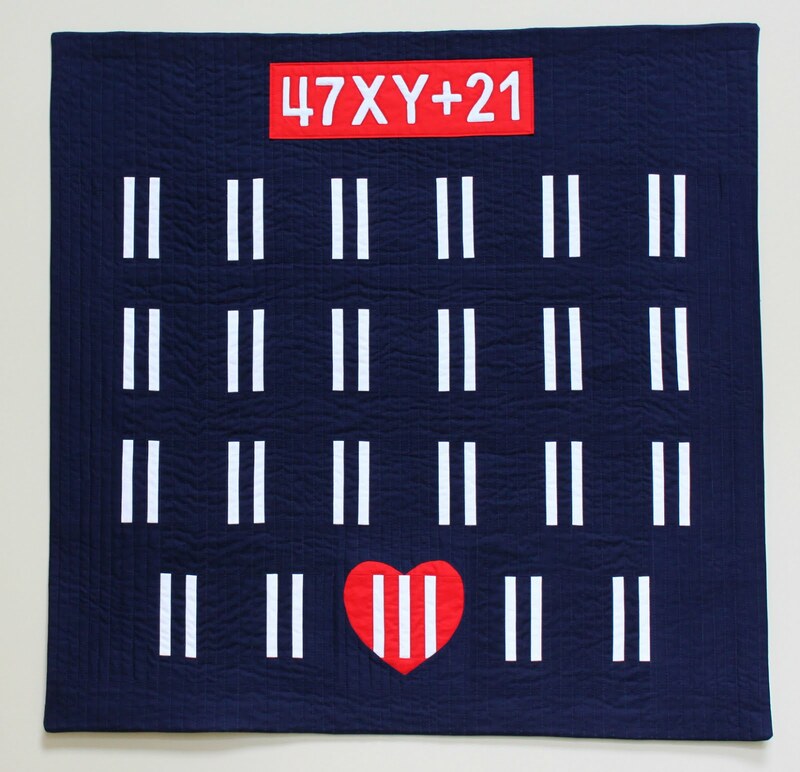 Kitty over at Night Quilter is spearheading a quilt-along for this design on her blog and on Instagram. I won’t make the mid-December deadline, but I’m hopeful for a January or February finish. I’m also considering tackling one of the following tutorials and making a just-because quilt—one that I make just because I want to make it, with no goals in mind other than to bust some of my fabric stash. 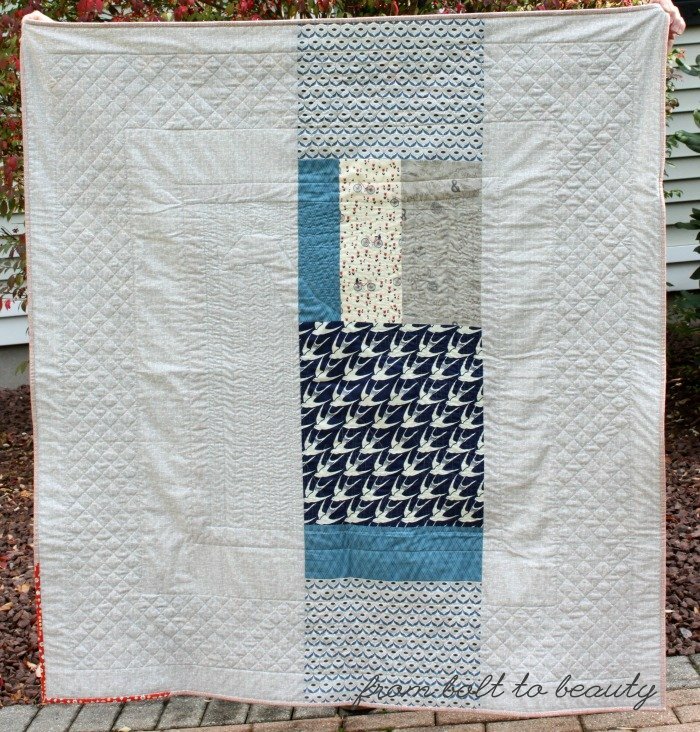 Amy Allison of Cluck Cluck Sew has released many beautiful tutorials over the years. 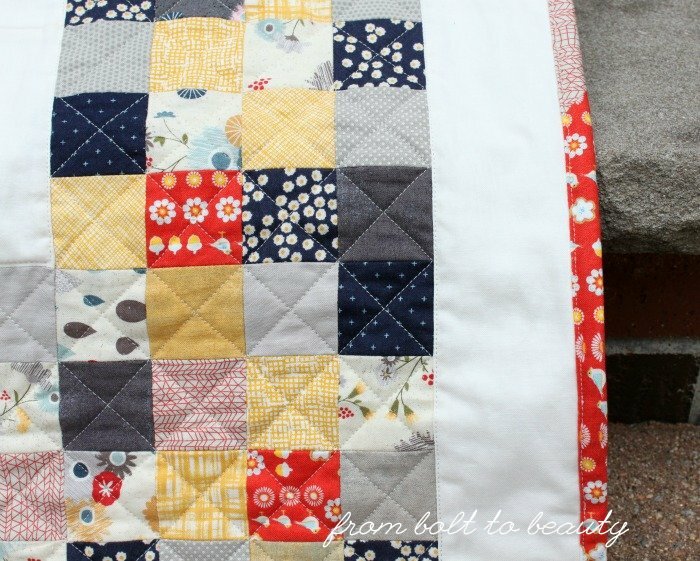 I’m especially smitten with her Diagonal Strip Quilt Tutorial. 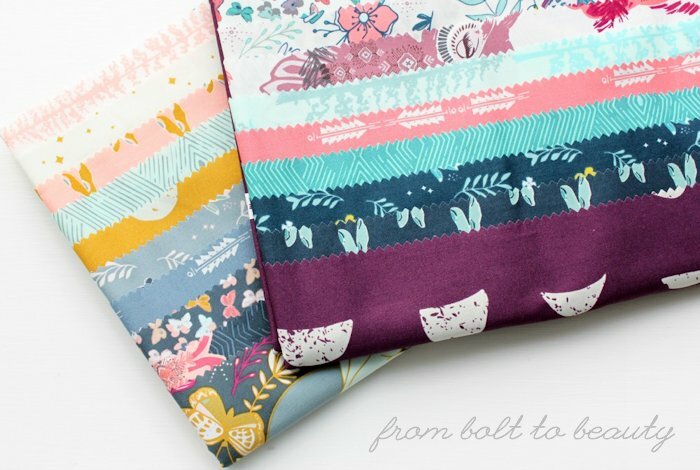 I can’t decide whether I want to chip away at my jelly roll stash or use this fabric, from Kate Spain’s Sunnyside line, as a palette inspiration and cut 2½” strips from yardage to match. 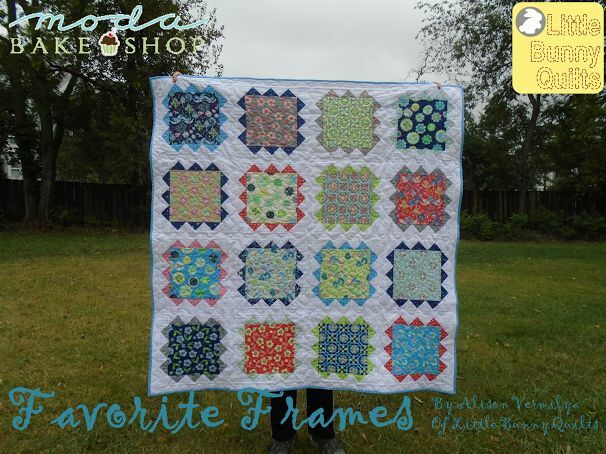 When I saw Little Bunny Quilts’ latest tutorial for Moda Bake Shop, Favorite Frames, I knew it was for me. It features big squares—perfect for the large-scale prints I have on hand. 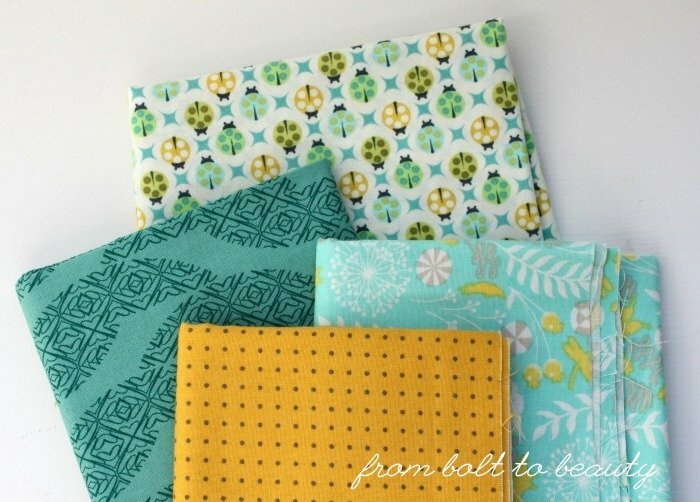 I recently won the entire line of Maureen Cracknell’s Nightfall collection in fat quarters. (I don’t win often, but when I do, I win big, people! Many thanks for Sharon Holland for holding the giveaway!) I don’t have the heart to chop up the line’s bunnies and owls, and with Favorite Frames, I won’t have to. Quilty confession #1: I don’t like pinwheels. They’re too traditional for my taste, but I’m open to a more modern take on them. 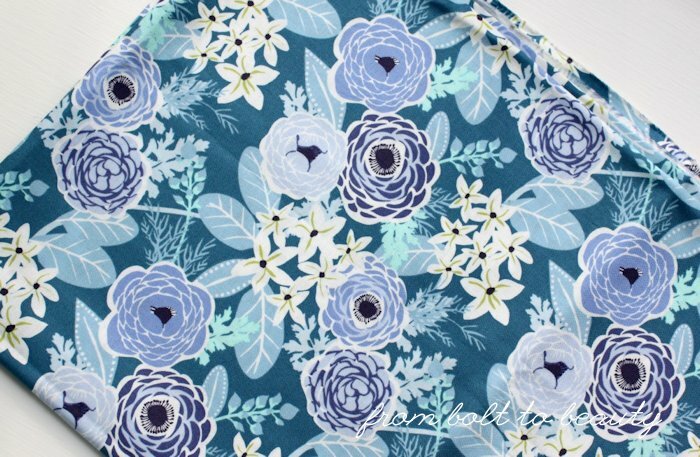 I’m considering Lisa Calle’s Black and Pinwheels pattern, also found on Moda Bake Shop. The chunky blocks and Xs bring the accompanying pinwheels into the 21st century, and the high-contrast color scheme of orange and black is nice and modern. Quilty confession #2: I also don’t like the traditional bear paw block. It’s too predictable, unless it appears in Live a Colorful Life’s Delta Breeze tutorial. Bear paws of different sizes in solid fabrics and oriented every which way? Yes, please. There’s nothing like the anticipation of a new project to help my creativity. Does your energy to create wax and wane, too? If so, how do you navigate the creative doldrums? Read about piecing this project here. 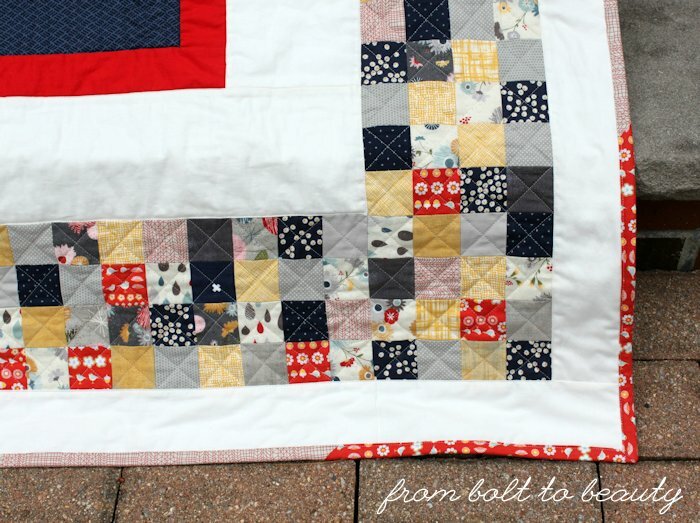 Today’s post is for those readers who, like me, quilt on a domestic machine. (I sew on a Janome 1600P-QC—a semi-industrial machine that’s crazy fast and only straight-stitches.) I know that every machine and every sewer working a machine is different, but I think the conversations we have about quilting are important. Quilting is the hardest part of the quilt-making process for me. The more we share about our approaches, successes, and failures, the more information we have to execute our next quilting project. 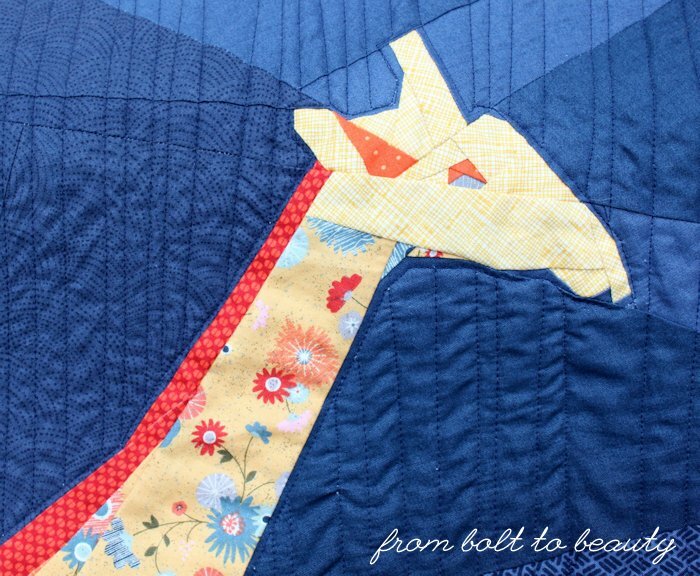 Last week, I shared about my giraffe quilt, a project that presented some unique quilting challenges. 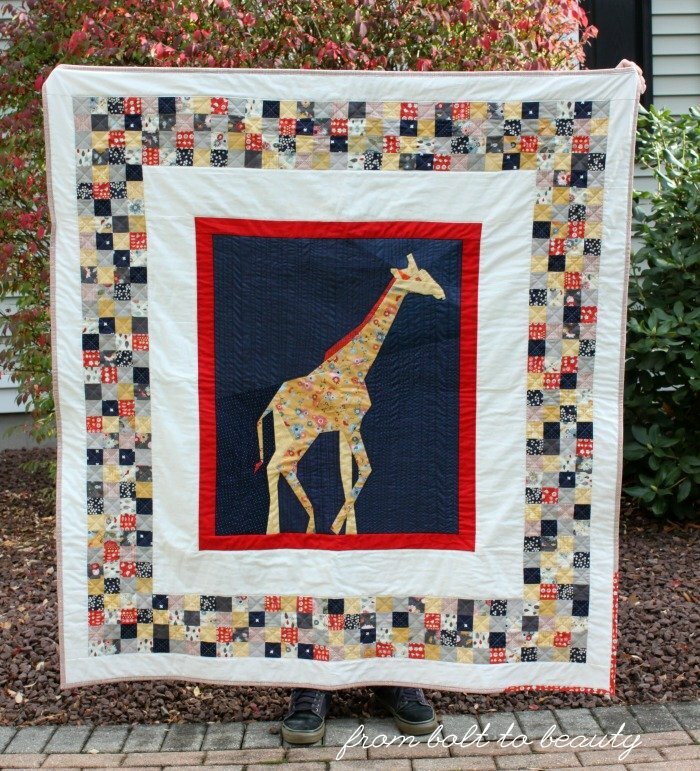 This quilt now lives with Chelsea, of Patch the Giraffe. As with all my quilts (even with those that are simple edge-to-edge straight lines), I started quilting this project in the center. I didn’t want to detract from the intricacy of my paper-pieced giraffe, though, so I opted to quilt vertical lines in the navy background around the animal. Using my walking foot, I quilted along the perimeter of the giraffe and then quilted the vertical lines. Once I reached the top or bottom of the navy, I’d pivot the quilt and work in the opposite direction. The color in this picture is off, but this close-up gives you a good look at the quilting. Basic Grey’s Mon Ami, Cotton and Steel's bluebirds, and more. I’m no fancy free-motion girl and was at a loss about what to do with the borders. Normally, I would have stitched in the ditch to ensure they’d stay put, but I pressed my seams open (I prefer to press to one side when ditch stitching) and stitched alongside the borders’ seams instead. At first blush, the patchwork border was a no-brainer. I could use the squares to quilt a simple cross-hatch, and that is what I chose to do. My concern was that the cross-hatch—with its regular, straight lines—would look weird with the imperfect vertical lines in the center, but maybe I was overthinking it. I’m curious ... What would you have done? I love this scrappy corner of the binding as well as the adjacent cross-hatch quilting. Read about quilting this project here. I’m amazed with how my quilt projects evolve. I rarely follow patterns, and when I do, it’s loosely—I always add my own tweaks. It’s even unusual for me to cut fabric for a project up front and then start piecing. I’ll cut some fabric and make some blocks, cut some more fabric and make some more blocks. I see projects as an organic process, as a series of decisions that lead me to the final product I can’t envision until it’s almost complete. This phenomenon reminds me of those Choose Your Own Adventure Books that were popular when I was a kid. The difference with quilting—ack!—is rethinking a decision isn’t as simple as turning back a few pages. As a quilter, taking another path often entails ripping out stitches, if not editing blocks out of a layout or scrapping a project entirely! 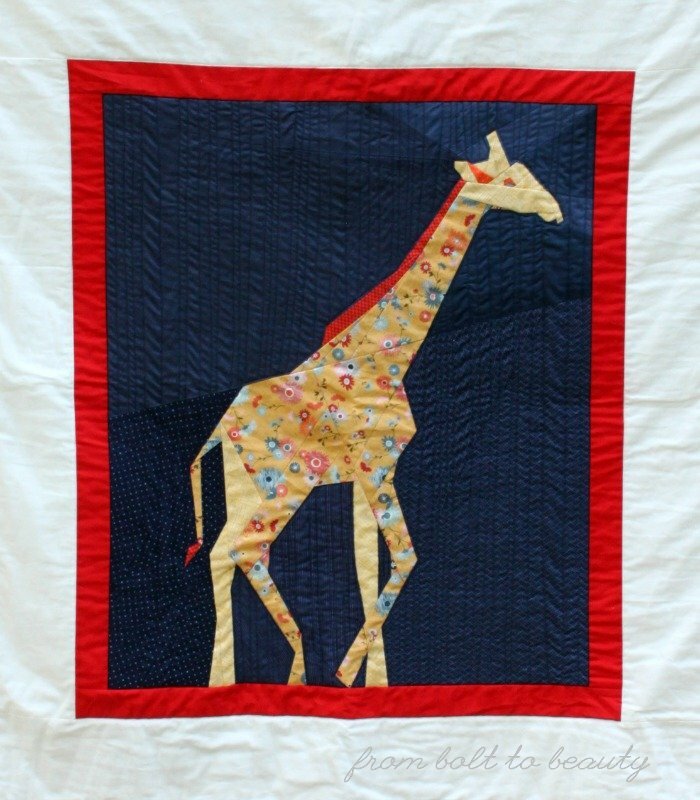 I decided earlier this year to make a quilt for Chelsea, of Patch the Giraffe. She’s my quilty partner in crime. We’ve served as co-VPs for the past year in our guild, and our shenanigans include gambling for fabric, holding fabric hostage, and talking smack about each other’s productivity. I knew she didn’t have a quilt that featured her favorite jungle inhabitant and thought I’d remedy that. You find multiple giraffe patterns. Which do you choose? Violet Craft’s giraffe, part of her Jungle Abstractions collection, is gorgeous. I had to rule that one out, too, though. I couldn’t imagine creating it in anything but solids, like the original, and I didn’t think I could infuse the project with enough of my personality, or Chelsea’s. The Tartan Kiwi’s paper-pieced giraffe was another story. I could envision that pattern in a variety of colorways, and the pieced background had the potential for a scrappy approach that Chels would like. My decision was made. It’s time to start piecing the quilt. Do you go with the slam-dunk palette or take a risk? I know Chelsea’s preferred quilt style, colors, and fabrics pretty well. I decided to use a Zen Chic dot for the giraffe and incorporate teals and aquas—some of her go-to colors—to frame the animal. It was a slam dunk. 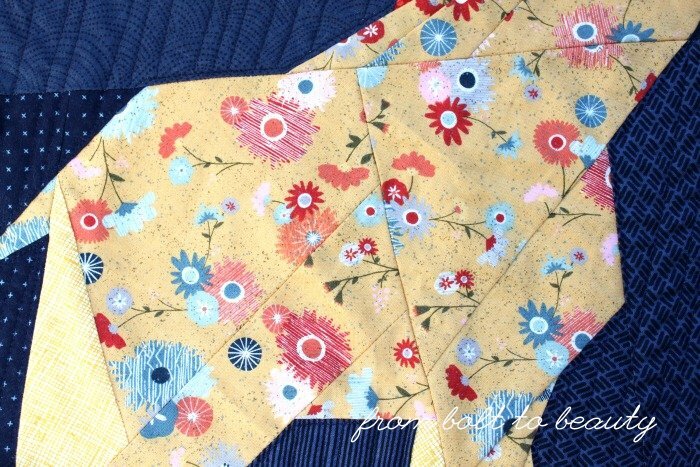 Then, as I was about to prepare the fabrics for paper piecing, I came across a yellow floral from Basic Grey’s Mon Ami line in my stash. The Zen Chic dot was nice and it would serve its purpose mimicking the spots of a giraffe hide. The Basic Grey option, however, had personality. It was a focal fabric that could affect the direction of the rest of the quilt. At the 11th hour, I ditched the sure-fire dots, along with the aquas and teals, and took a chance on the yellow floral. The quilt is too small. How do you enlarge it? Once the giraffe was pieced, I loved it. I used different navies from my stash for the background and was pleased with the contrast they created against the giraffe’s yellow hide. But at this point, the quilt was just 24 inches by 27 inches. Because I prefer to gift throw quilts instead of wall hangings, I needed to make it bigger. I decided to add borders that would complement the giraffe without overwhelming it. At the time, I had 2-inch blocks from this quilt on my mind and soon started sewing 2-inch blocks together for this project, too. I needed 456 squares for this endeavor—a number I didn’t calculate until I had pieced half of it, and by then there was no going back! The giraffe needs something to frame it. What fabric do you use? So the quilt was really coming together by now. I planned on laying out the different elements like this (from the center out): the giraffe, a Kona Snow border, the 2-inch blocks border, and another Kona Snow border. As I played with these parts on my “design floor,” however, the transition from the giraffe to Kona Snow seemed lackluster. That lovely animal needed something to set it off. In the meantime, do you have a comparable experience to share with us? 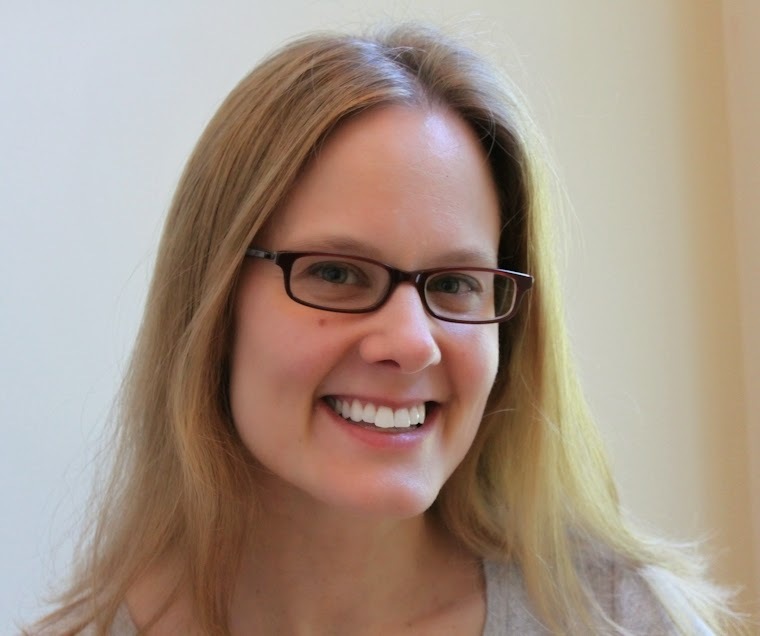 Have you plunged headfirst into a project and ended up in a place—and with a quilt—you couldn’t have imagined in the beginning? Tell us about it in the comments! I’m Michelle. I quilt. A lot. 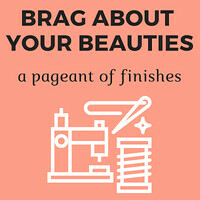 This is where I share my triumphs—and tribulations—at my sewing machine. Welcome! © Michelle Cain/From Bolt to Beauty, 2014-2019. Unauthorized use and/or duplication of this material without permission is prohibited. You are welcome to link to or pin my content, but please cite my original post. Thanks!